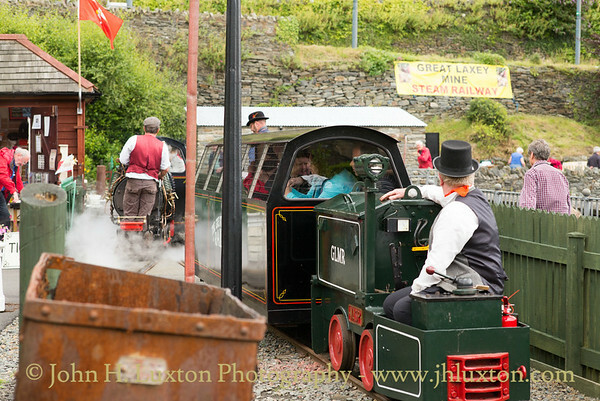 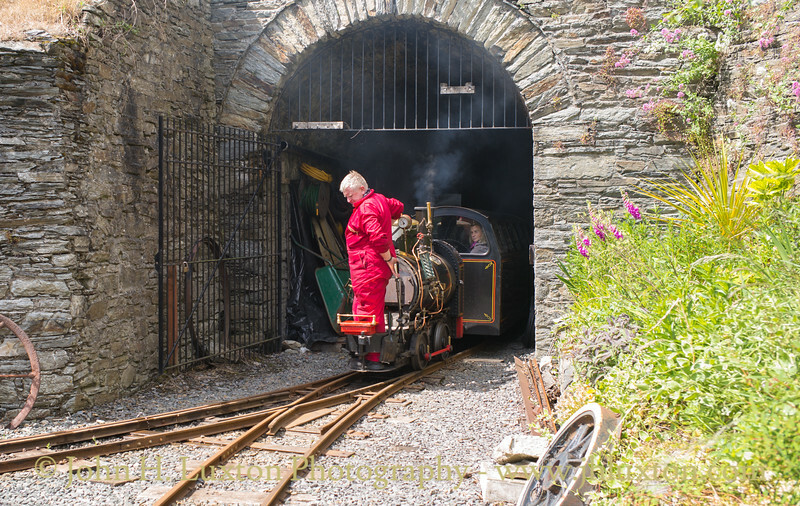 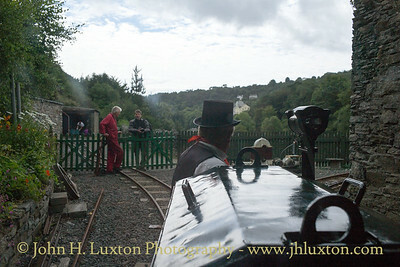 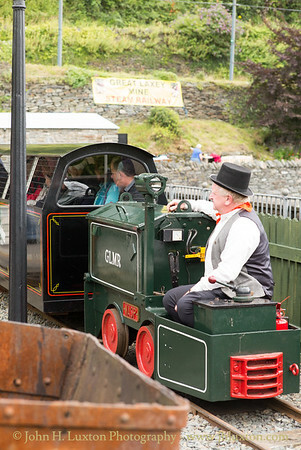 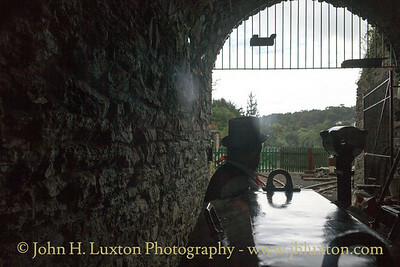 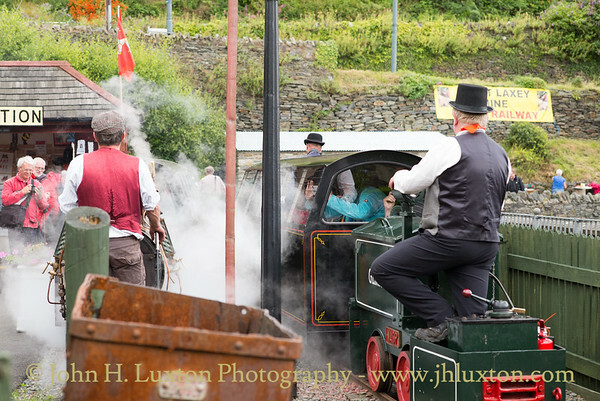 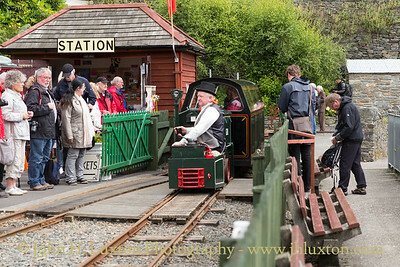 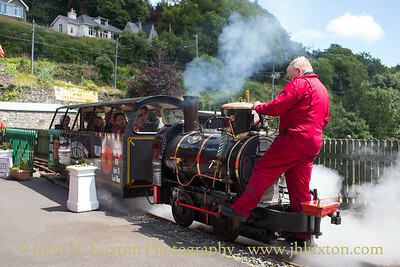 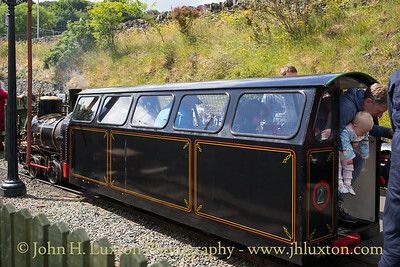 The former Great Laxey Mine Railway - a mineral railway rebuilt as a tourist line for the 21st Century. 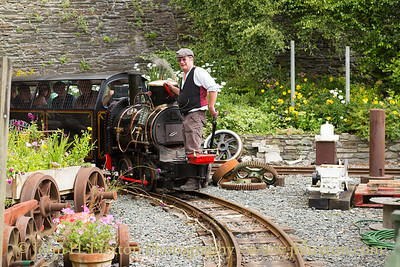 BEE outside the depot at Laxey Valley Gardens. 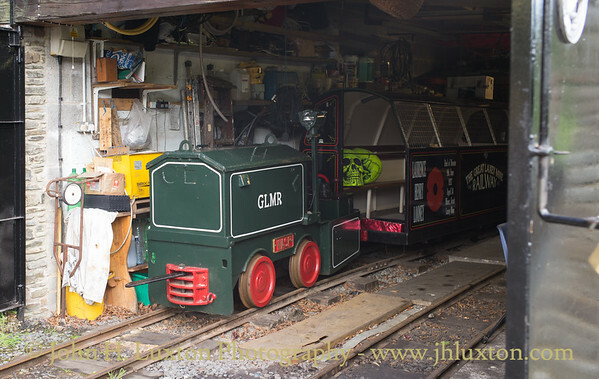 Battery locomotive WASP in the loco shed. 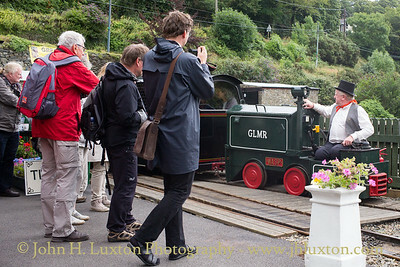 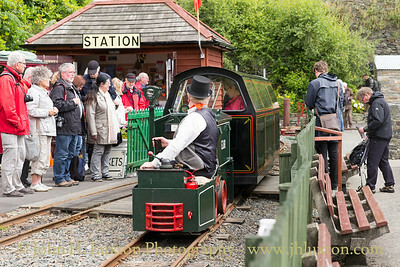 Battery electric locomotive WASP at the Laxey Valley Gardens station built on the site of the former dressing floors. 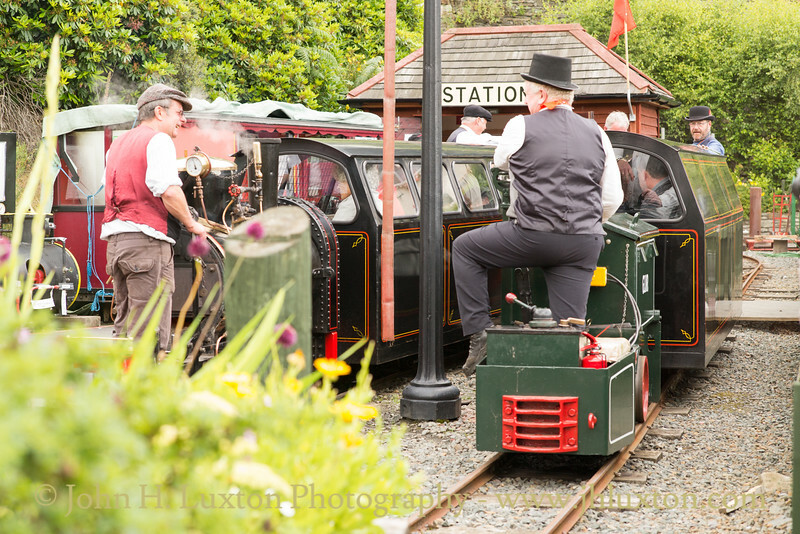 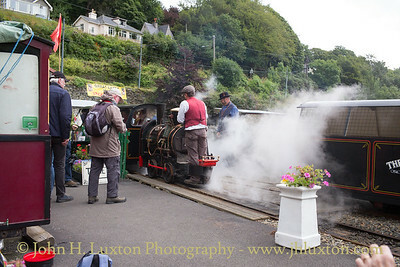 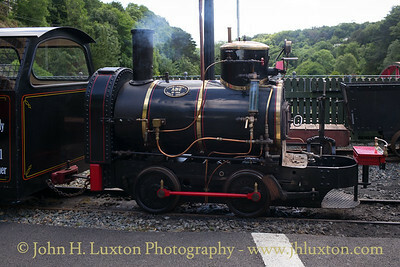 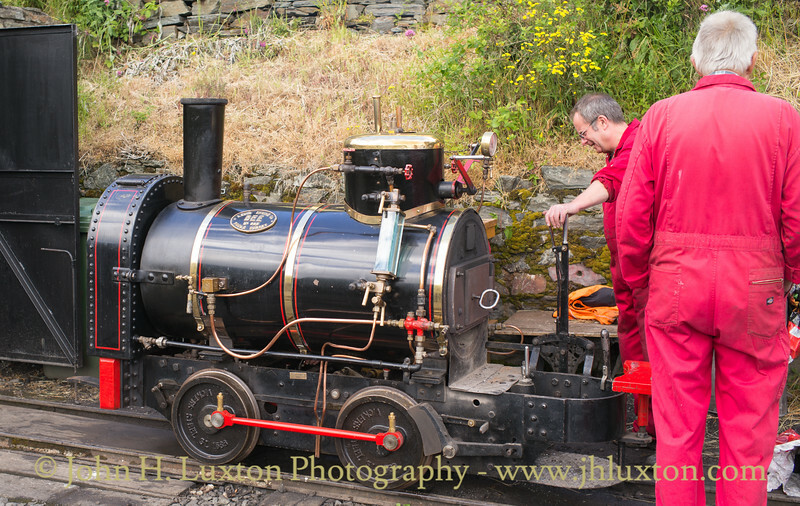 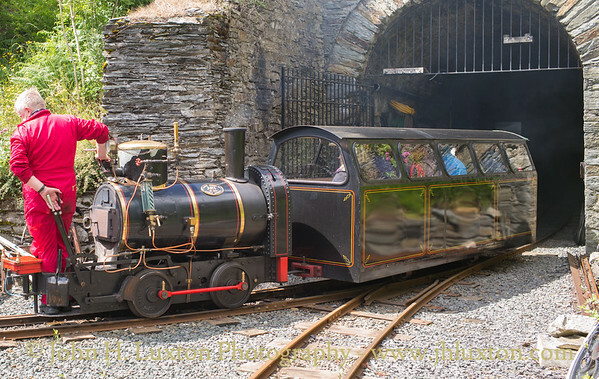 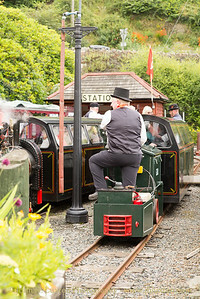 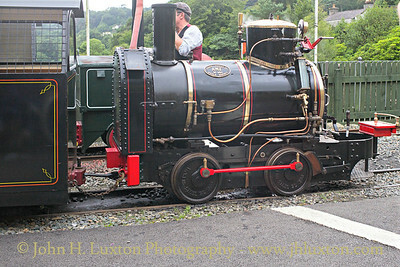 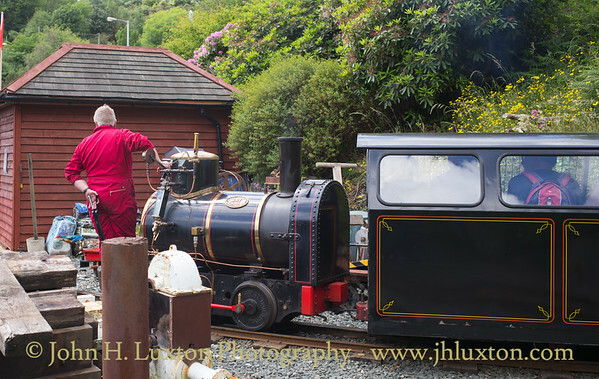 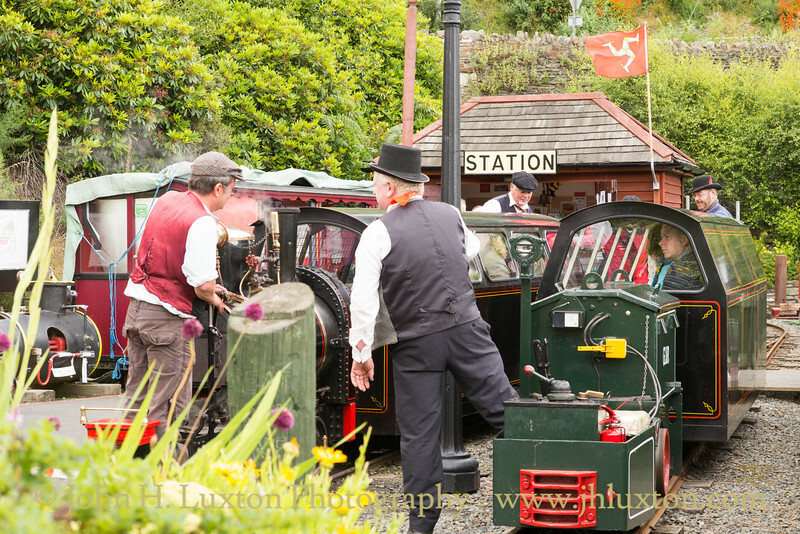 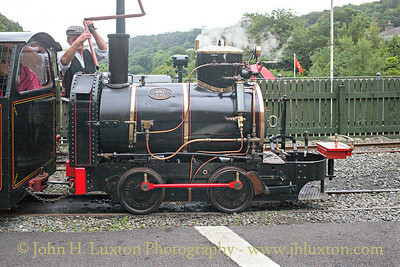 Steam locomotive ANT at Laxey valley Gardens.